The horrendous news of the bombing of the UN headquarters in Nigeria’s capital - Abuja - reportedly by a radical Islamist group - killing at least 19 people and wounding more than 60 other persons - has been rightly described by the United Nations Security Council as a “heinous crime”. If such a resolution seeks to determine the sovereignty of the West Bank and Gaza - then this would amount to a total abrogation of United Nations Security Council Resolution 242 adopted unanimously on November 22, 1967. Resolution 242 has underpinned all Arab-Israeli diplomacy for more than 30 years. Every major Arab-Israeli agreement refers to Resolution 242 starting from the 1979 Egyptian - Israeli Treaty of Peace. “to a permanent settlement based on Security Council resolutions 242 (1967) and 338 (1973). It is understood that the interim arrangements are an integral part of the whole peace process and that the negotiations on the permanent status will lead to the implementation of Security Council resolutions 242 (1967) and 338 (1973)". 3. Resolution 242 is not self-enforcing; Israel is not expected to unilaterally withdraw from territories to fulfill its terms. It requires direct negotiations between Israel and its Arab neighbors. 4. According to Resolution 242, there is no Israeli obligation to withdraw prior to the achievement of a comprehensive peace. 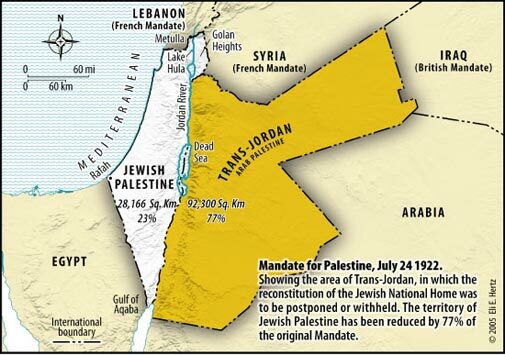 Nor is there any requirement of Israel to withdraw fully from the territories it captured in 1967. 5. There is no reference to a Palestinian “right of return” in Resolution 242. Should any UN Resolution by either the General Assembly or the Security Council attempt to circumvent direct negotiations as called for in Resolution 242 (and reinforced by the Oslo Accords and the Bush Roadmap) - then the United Nations could find its authority and integrity irreparably and irretrievably damaged.